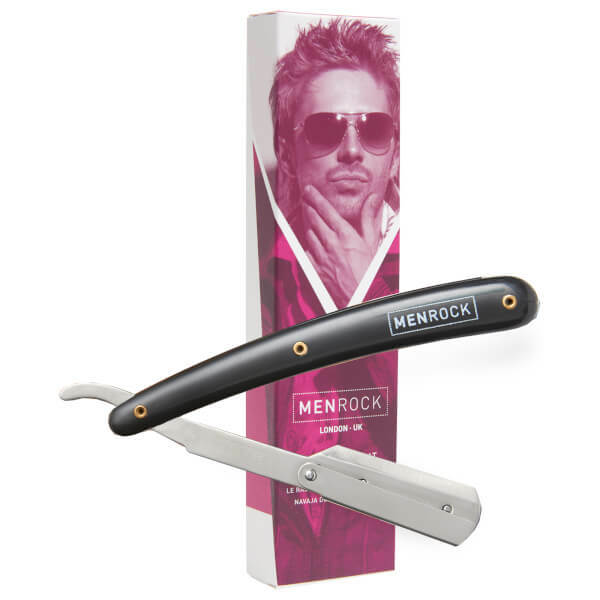 The Men Rock The Cut Throat Shavette works just like a straight razor, but features interchangeable, double-edged blades that eliminate the need for honing or the use of a strop. 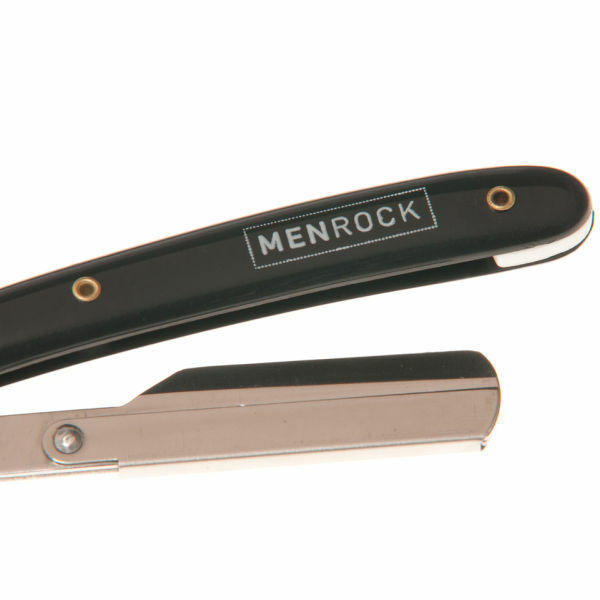 With half a standard safety blade that is held firm on closing, the shavette allows for a super-close, barber shop quality shave. - L.M. It's ideal for people planning to start shaving with a straight razor. Since it's cheap you can try out this way of shaving without spending much. It get's the job done, nothing less and nothing more. Going to start off by saying you get what you pay for, I didn't expect this to be an amazing product nor a high quality one because of the price, and do an extent its not, however I would say it is the perfect product for someone who wishes to learn how to use a cut throat razor but doesn't want to slice there head off or have to take out a loan. the product is nice gloss plastic material. only issue I have with this is the razors are not very sharp (don't take that likely they are just not to the standard I would have expected).